Wingrave is a village in Buckinghamshire, England. It is located in the Aylesbury Vale, about four miles north east of Aylesbury, three miles south west of Wing. The village name is Anglo Saxon in origin, and means 'Wiwa's grove'. 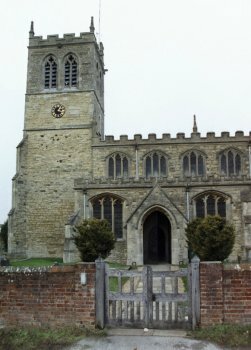 It was recorded in the Domesday Book of 1086 as Withungrave and is related to the village name of Wing. 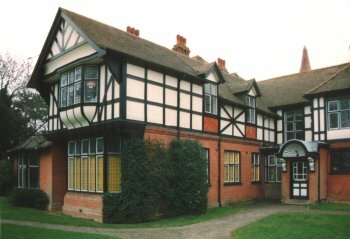 Around the recreation ground and in other parts of the village are many houses and cottages of varying sizes, constructed in neo-Tudor style, erected by Hannah de Rothschild in the 19th century. These houses, which display her personal cypher 'H de R' were homes for estate employees. They remained part of the Mentmore Estate until well into the 20th century and are very sought after today, commanding a very high price. During the Second World War the exiled government of Czechoslovakia lived at the manor in Wingrave. During this time the President Dr. Edvard Benes lived at the abbey in nearby Aston Abbotts. 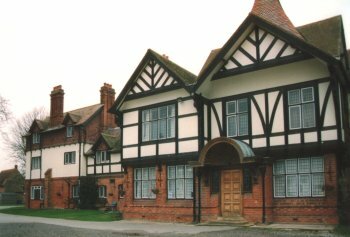 Wingrave Manor, also known as 'The old Manor House' is a Victorian half timbered pastiche of nearby Ascott House. Like many of the village's cottages it too was built by Hannah de Rothschild in 1876. Why she built a large house barely two miles from her own home Mentmore Towers (one of the largest mansions in Buckinghamshire) can only be the subject of conjecture. The design of the house while similar to Ascott, does not have the same lightness of touch as Ascott, so is unlikely to have been designed by Ascott's architect George Devey. 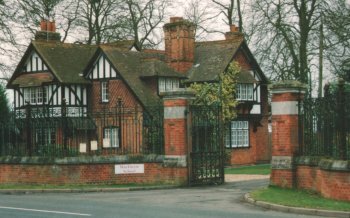 The Rothschild family do not appear to have ever lived at Wingrave, as the house was soon let to the Stewart-Freeman Family who enlarged it in 1885 and eventually purchased it in 1898. It was the last Stewart-Freeman daughter, Eveline, who leased the house to the exiled Czech government. Following the departure of the exiled government in 1945, the mansion was leased to an order of nuns who cared for disabled children on the site for over twenty-five years. In 1972 the Manor was sold and today is the MacIntyre School. The school cares for children described as having complex learning difficulties and was greatly supported by Bob Monkhouse during his lifetime.